Initially teased in the “Opus VII” set with Noctis from FINAL FANTASY XV and Lasswell from FINAL FANTASY BRAVE EXVIUS®, the new “Opus VIII” expansion brings the two titles to the forefront in full force with multiple new characters from each game. The set also includes exclusive, original artwork by Yasuhisa Izumisawa (FINAL FANTASY CRYSTAL CHRONICLES), Ryoma Ito (FINAL FANTASY TACTICS® ADVANCE), Akira Oguro (FINAL FANTASY LEGENDS) and Toshitaka Matsuda (FINAL FANTASY IX). 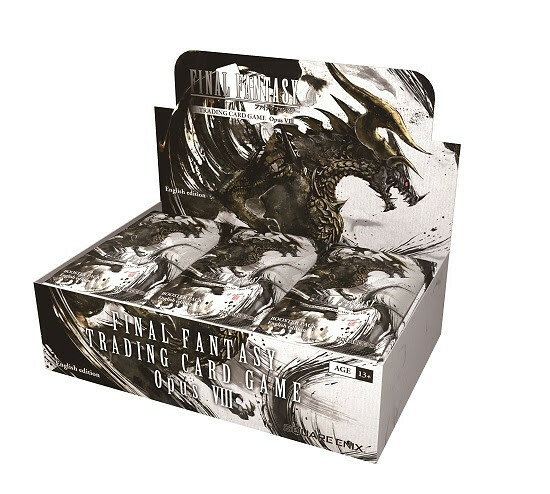 Players who purchase a sealed display Opus VIII booster box from participating retailers will receive a Full Art Promo Card featuring the FINAL FANTASY VII protagonist Cloud depicted in another form, while supplies last. Additionally, two brand new Starter Sets featuring FINAL FANTASY VII and FINAL FANTASY XIV: Stormblood™ are also now available for purchase. 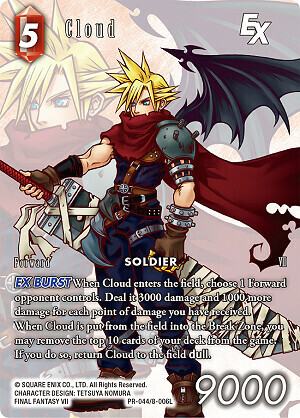 The new FINAL FANTASY VII Starter Set is a defensive deck featuring primarily Earth/Wind elements, with the goal of getting each party member into play including Tifa, Cloud and others. The FINAL FANTASY XIV Starter Set is an aggressive deck with a heavy emphasis on the Stormblood expansion, including the Red Mage and Samurai jobs along with featured characters Lyse and Hien.